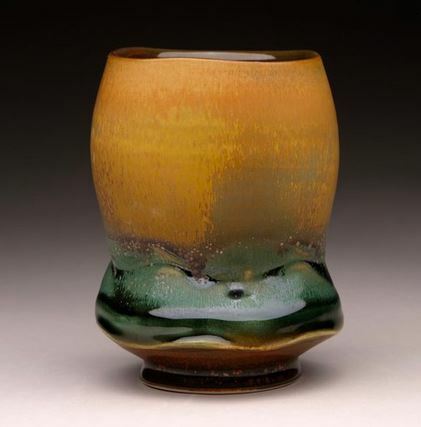 Steven Hill is one of the most recognized name in Pottery today. Founder of Red Star Pottery in Kansas City, Steven is now working just outside of Kansas City at 323 Clay Studio in Independence, MO. 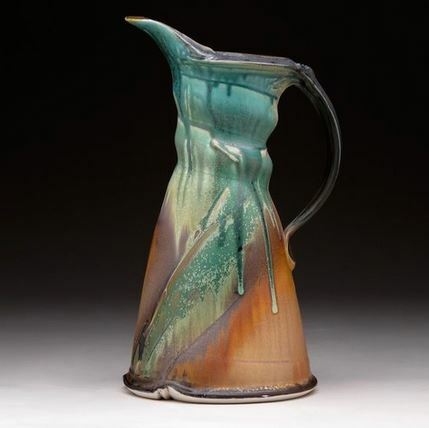 Steven began as a reduction fired clay artists. 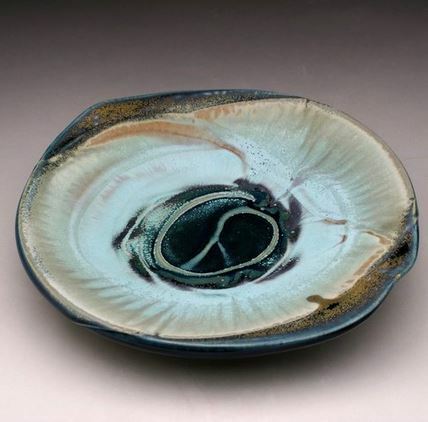 His work revolves mostly around porcelain vessels and platters which are thrown on a wheel and then decorated with slip to form a texture that breaks the glaze in interesting ways. He mostly sprays his glazes on. 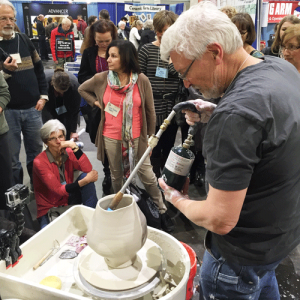 It is not uncommon for him to spray more than 5 different glazes on the same pot in layers to create depth. Now working strictly in electric kilns, he single fires his pots to Cone 5 or 6 and slow cools them to form micro-crystals that give his pots a rich earthy feel.